After more than 2 decades of frustration and disappointment, an abandoned ghost town south of SeaTac Airport is being reborn. Development of the Des Moines Creek Business Park (DMCBP) is well underway. Soundview Consultants LLC provided wetland delineations, regulatory coordination, permitting, and mitigation planning for the project. 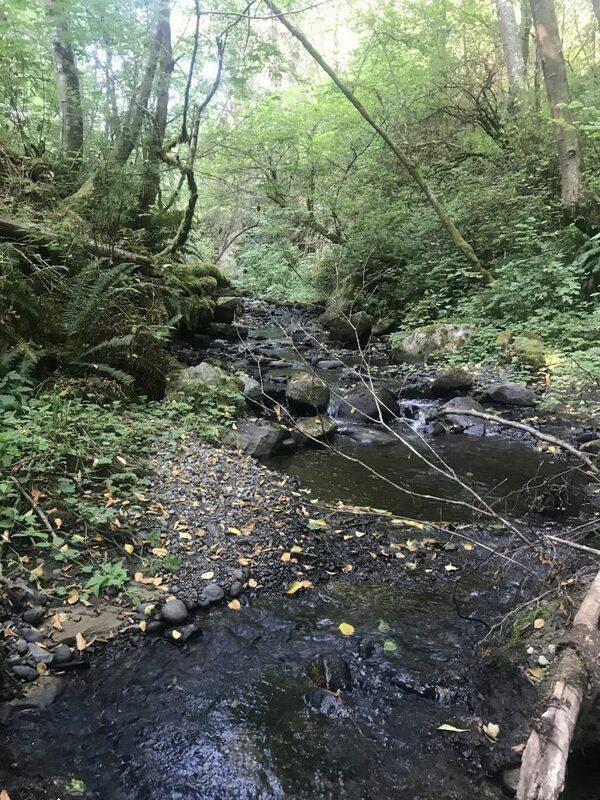 The goals for redevelopment are to fully utilize the site and provide economic growth for the cities of Des Moines and SeaTac, and at the same time, provide improved water quality functions and habitat for fish and wildlife in the watershed. The challenges of the site make these goals easier said than done. Several acres of the site are environmentally sensitive and unbuildable. The DMCBP also borders offsite wetlands and steep slopes that lead to streams and wildlife habitat directly to the west. For almost 50 years US Geological Survey maps and surveys did not identify any drainages, creeks, swamps, or wetlands on the site. But after the residential neighborhoods were vacated and the site was abandoned in the early 1990’s, small, low functioning wetlands formed in depressions in the relict building foundations and their associated infrastructure. By the time redevelopment began in 2013, the site was constrained by nine wetlands and five stormwater features (ditches). 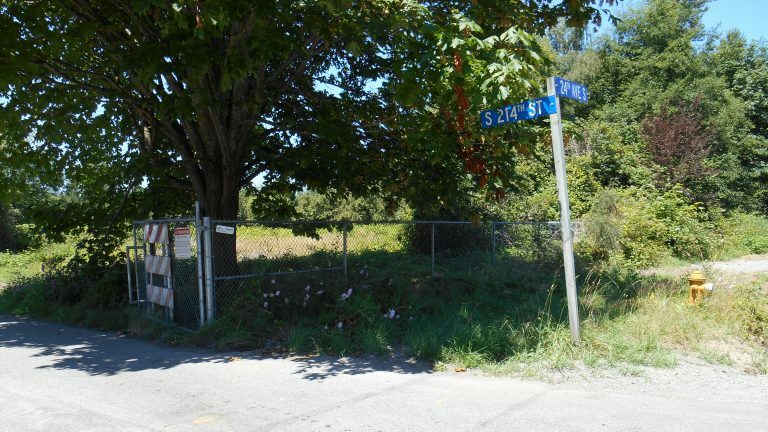 These photographs from 2013 show how heavily overgrown the vacant site had become. Small, low-functioning wetlands were forming in the low spots of the old residential areas. Soundview Consultants LLC assessed the small onsite wetlands that had formed in the abandoned neighborhoods as low-functioning Category III and IV wetlands. These wetlands had little native plant variety and were dominated by invasive reed canarygrass, Himalayan blackberry, and English ivy. The wetlands provided no fish habitat, little bio-filtration functions, and little suitable habitat for amphibians, wetland associated mammals, or birds. Because the Master Plan for development required full use of the eastern portions of the site, impacts to some of the small wetlands could not be avoided. A quarter of an acre of wetlands were filled to meet development requirements. Because none of the impacted wetlands provided critical wetland functions to the site, full wetland function compensation could be provided elsewhere within the watershed. Small onsite wetlands on the site were covered by invasive non-native vegetation. In 2013, Panattoni Development began Phase I of the DMCBP with the construction of five flexible-use, manufacturing, office, distribution, and industrial business park buildings. 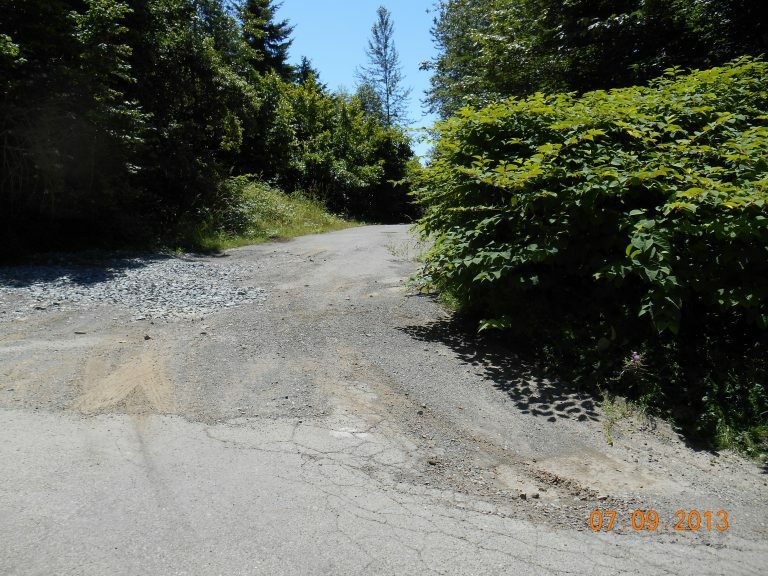 Careful site selection and modifications to the project design helped minimize or avoid impacts from construction on larger wetlands and the steep slopes, streams, and fish and wildlife habitat to the west. The DMCBP is a fine example of the use of the watershed approach to development. A watershed is a geographic area that drains to a common waterway, such as a stream, lake, estuary, wetland, aquifer or ocean. In the watershed approach, wetland functions that are lost due to fill must be fully offset by mitigation actions in another area of the watershed, or must provide measurable improvements to the watershed. 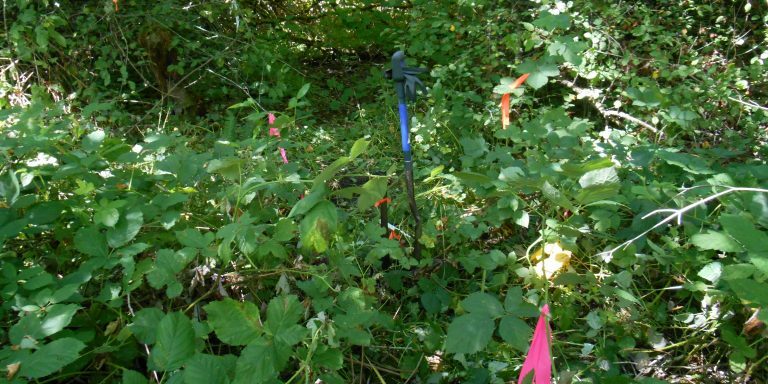 Soundview Consultants LLC provided mitigation planning efforts including use of the King County Mitigation Reserves Program (KCMRP), a State and Federally approved in-lieu fee program. In-Lieu Fee (ILF) mitigation is used to compensate for unavoidable impacts to wetlands. In this approach, a permittee pays a fee to a third party instead of conducting project-specific mitigation or buying credits from a wetland mitigation bank. The fee charged by an ILF Program Sponsor represents the expected cost of replacing wetland functions that are lost or degraded as a result of the impacts of a permittee’s project. An ILF Program typically combines fees collected from one or more impact projects and uses those fees to finance a mitigation project in another area of the watershed. The DMCBP is located within the King County Mitigation Reserves Program Central Puget Sound service area. This allowed the project to use the in-lieu fee program for compensatory mitigation within the same watershed. The service area includes approximately 370 acres within the Judd Creek basin (Island Center Forest and Island Center Forest Natural Area) and approximately 5 acres adjacent to the Puget Sound in Point Heyer Natural Area. The ILF mitigation efforts targeted replacement of habitat functions. Both the Judd Creek basin and the Point Heyer area contain critical habitat and have direct connection to the Puget Sound. They contain areas with supportable mitigation opportunity and are connected to aquatic systems containing habitat for sensitive species. Use of these service areas allows the DMCBP to achieve no net loss of aquatic resource function. The stormwater systems on the DMCBP site improve water quality, and mitigation efforts funded by the in-lieu fee program benefit the streams and wildlife habitat in the watershed. Phase I of the Des Moines Creek Business Park is complete; the buildings were fully leased and sold for $68 million in December 2016. Phase II, the new headquarters of the Federal Aviation Administration and its 1,600 employees, opens in early 2018. Phase III and Phase IV of the development are now in construction and scheduled for completion in spring of 2018. The DMCBP proves that careful, thoughtful development can actually improve the environment. The highly successful redevelopment of a “modern ghost town” has brought thousands of jobs, economic stability, and improvements to the area’s water quality and critical fish and wildlife habitat.